Each quarter, we host a Continuing Education (CE) class for our local insurance professionals. These classes allow agents to maintain their licenses and remain current on best practices. 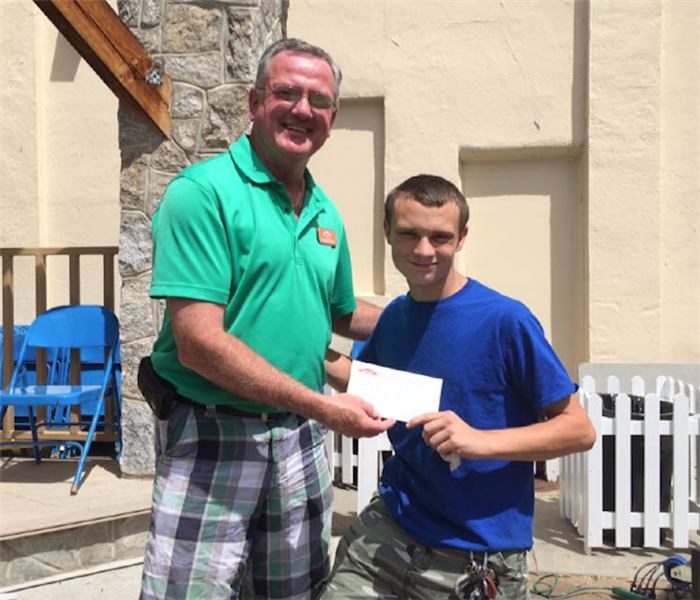 We enjoy helping our local insurance community! 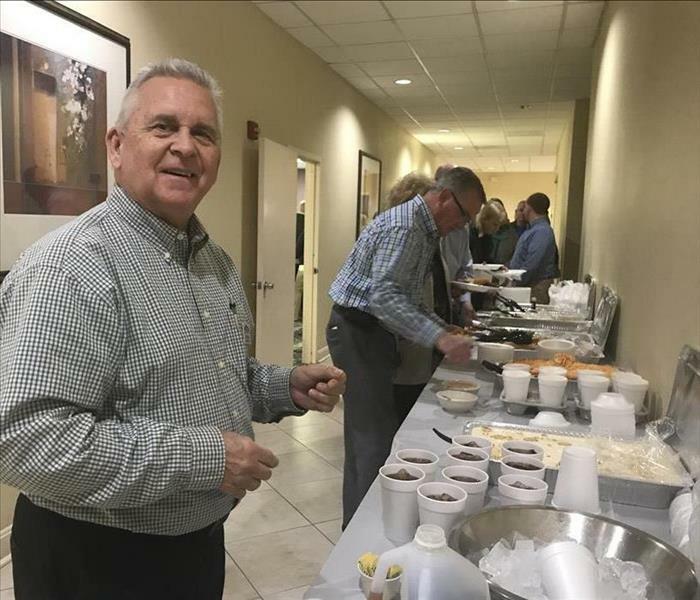 Above, Marketing Representatives Mike Casey and Mike Richey serve lunch to the attendees! Google has played an important role in Lenoir and Caldwell County since it opened its data center here. 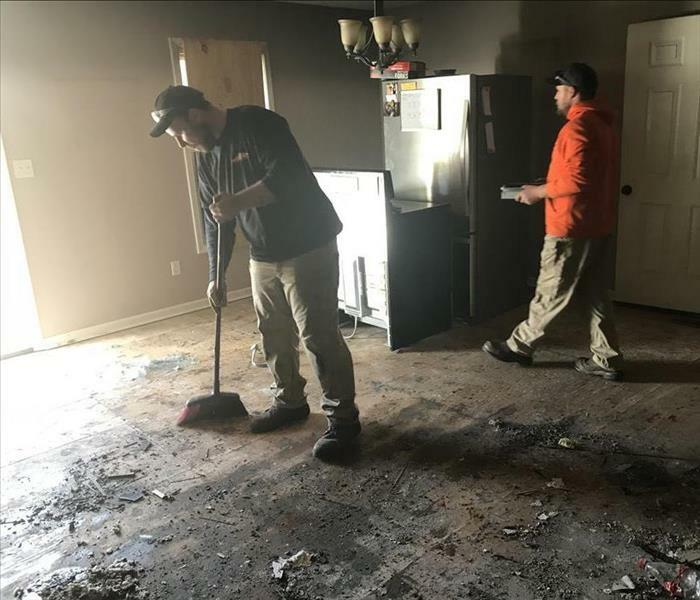 Recently, it held its "Grow with Google" event in conjunction with the Caldwell Chamber of Commerce, which was designed to help the local community get involved and learn. 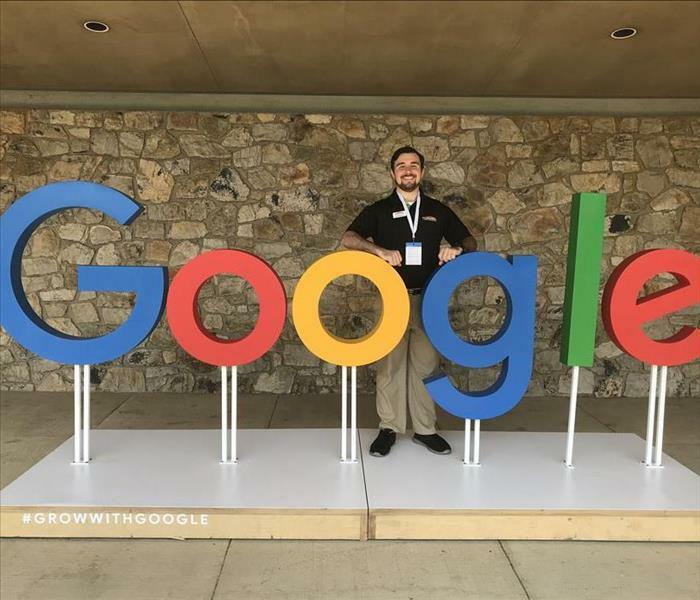 Above, our marketing coordinator, James Nagy, posed with the Google logo! This year, the Caldwell Chamber of Commerce launched its own morning networking event, Third Friday Perks. 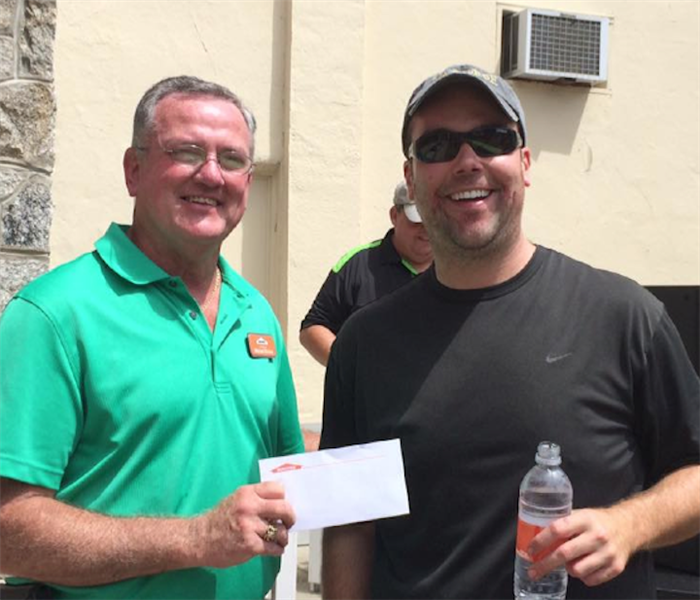 Because some of our own SERVPRO employees played a role in getting the event off the ground, they made sure to attend. 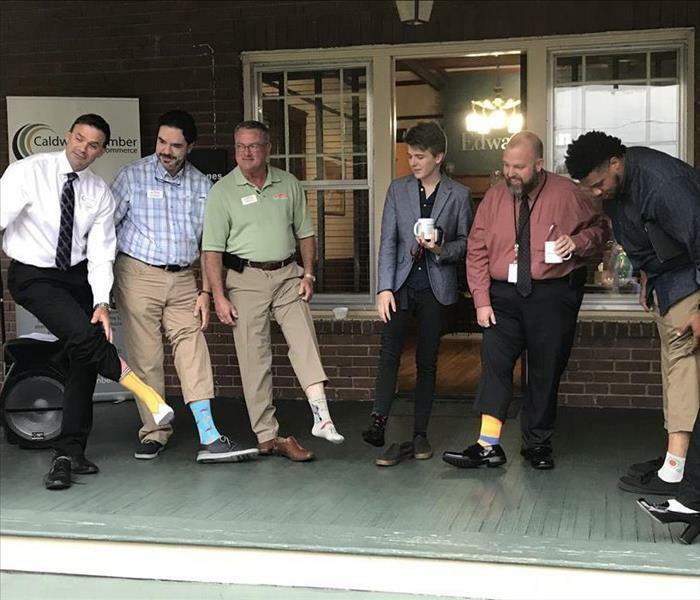 They even had the opportunity to show off their crazy socks! 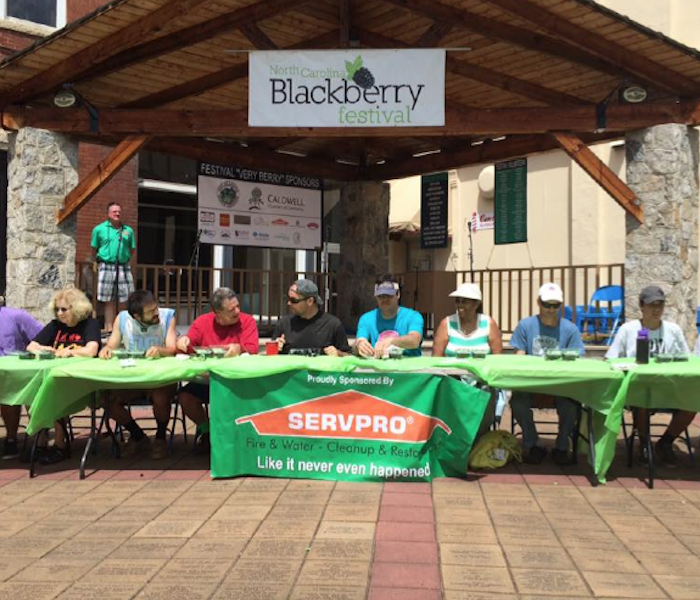 Every year, SERVPRO of Alexander & Caldwell Counties sponsors the Blackberry Eating Contest at the annual North Carolina Blackberry Festival in North Carolina! We had a great turnout and a lot of messy faces! 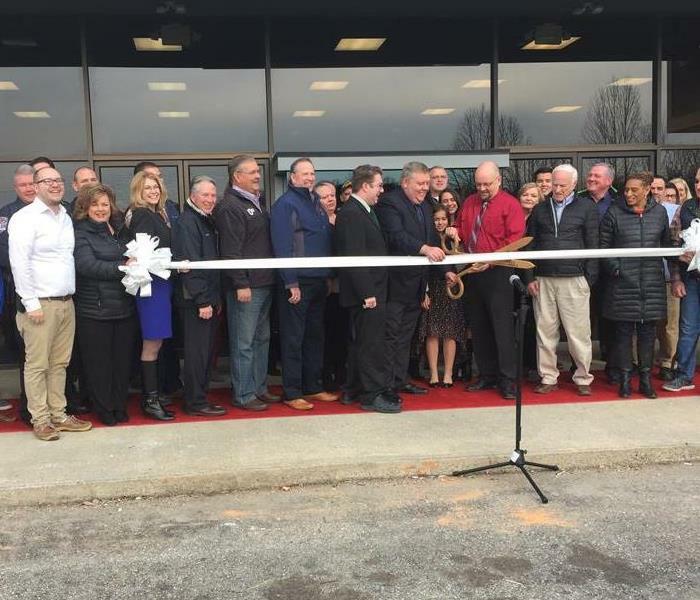 We love seeing new businesses open in our communities. Golden Ticket Cinemas opened its doors for the first time, and we were there to welcome them! 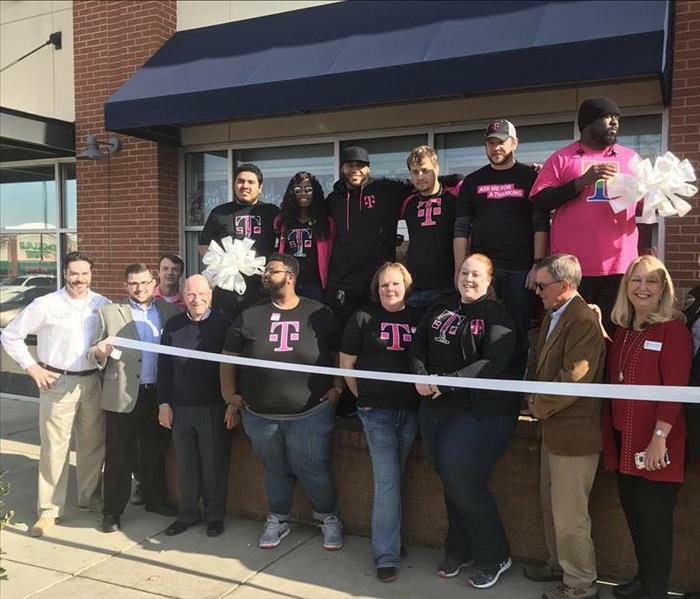 We welcomed a new T-Mobile store into the community! 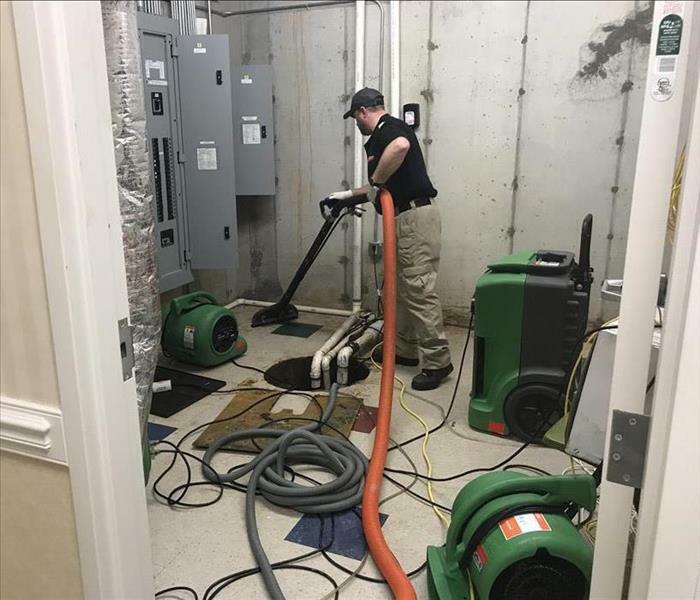 When nearby businesses open their doors, we're always there with open arms! 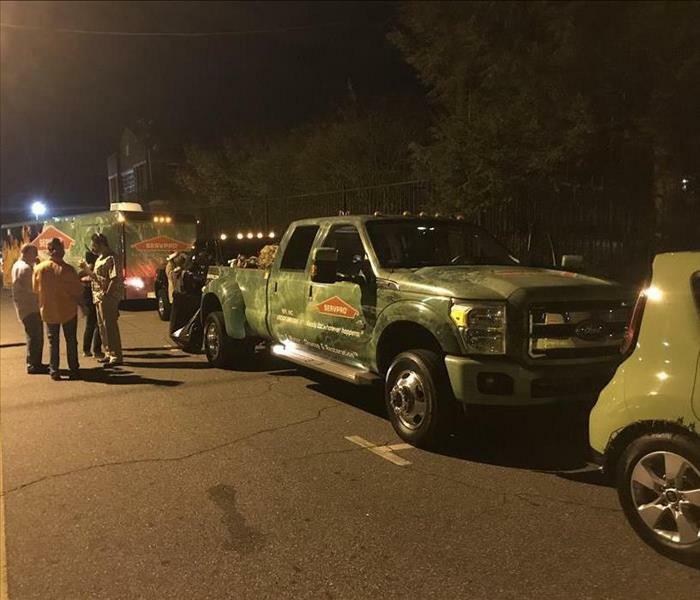 Every year, our team attends the Lenoir Christmas Parade. This year, we drove two vehicles and the Large Loss trailer! 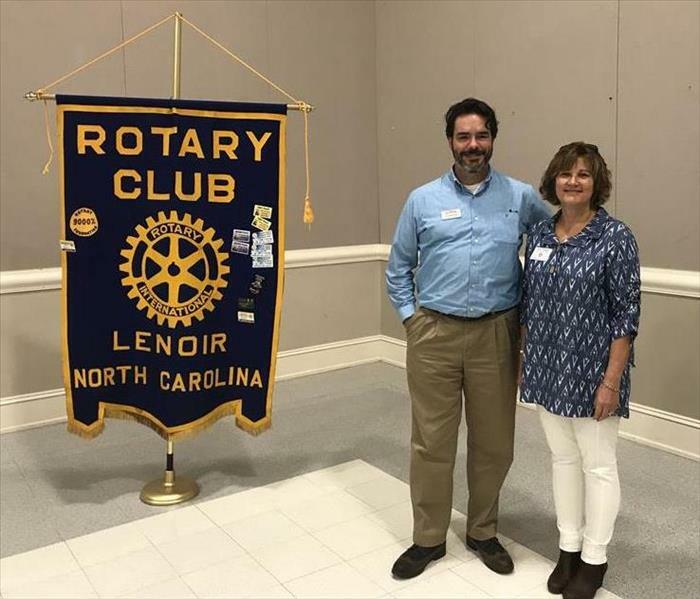 Eric Hershberger officially became a member of the Lenoir Rotary club, now joining franchise owner Kim Williams! The weekend of July 8th and 9th, the city of Lenoir held their annual Blackberry Festival. 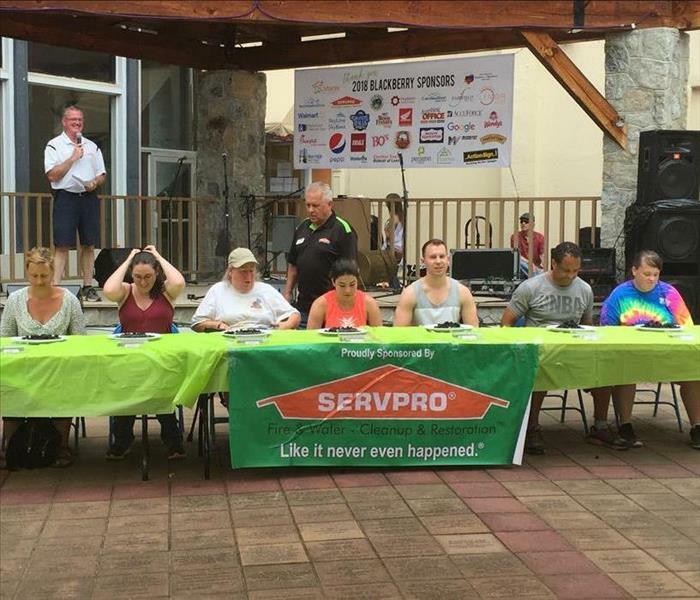 SERVPRO of Alexander and Caldwell Counties was a proud sponsor and hosted the Blackberry eating contest.